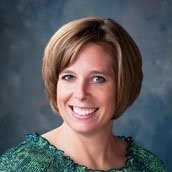 The complete solution for enterprise translation. 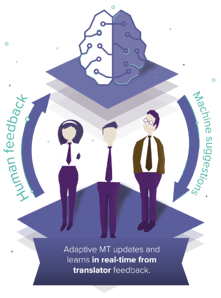 Lilt's powerful technology uses Neural MT to help human translators deliver high quality translations. We'd love to show you how today's fastest-growing companies use it to bring their products and services to new countries faster than ever before. 1. Software: If you already have in-house translators that you work with, our technology doesn't replace them. 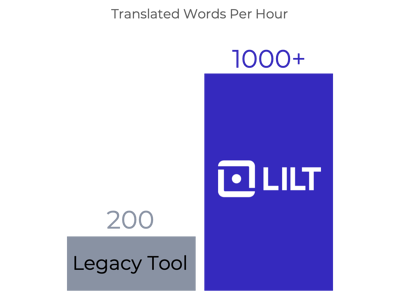 Lilt's software will make those translators 5x more productive than they are with their current legacy tools. 2. Technology-enabled services: If you don't have translators, we can provide access to the top 1% of translator talent for your chosen vertical and language pairing. Our translators offer unparalleled domain expertise, and are approved only after a thorough application and examination process. Today's fastest growing companies trust Lilt. "We didn't want an off-the-shelf solution. We needed something we could customize as much as possible to our own vocabulary, and that could instantaneously learn as we went along with our human and machine translations."